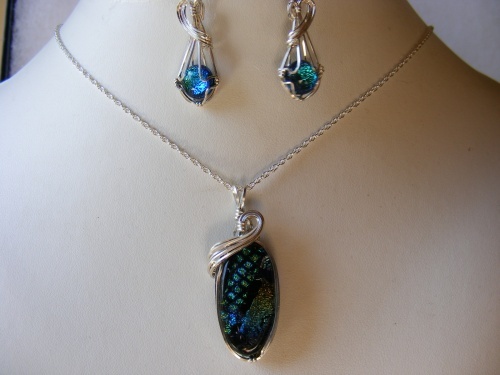 This set comes with dichroic pieces that have blues, greens and golds in it. Very elegant and sculpted in argentium silver. Piece measures 1 1/2" and comes with sterling silver chain.